Burma, long a province of the Indian Empire, gained independence from Britain in 1948 as a republic, outside the Commonwealth. (The Burmese government has, since 1989, called the country Myanmar, and the capital Yangon, but many, including the British government, continue to use the former names.) 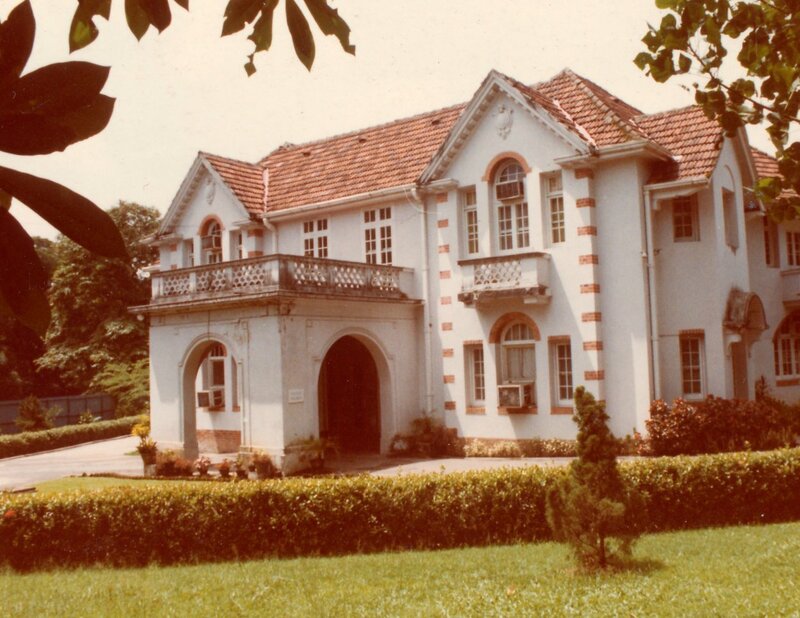 Within two years of independence, the Ministry of Works had bought two substantial properties in Rangoon to house the required new embassy. 80 Strand Road was bought from The Graham Properties Company Ltd, of Glasgow, for £64,000 in August 1948. 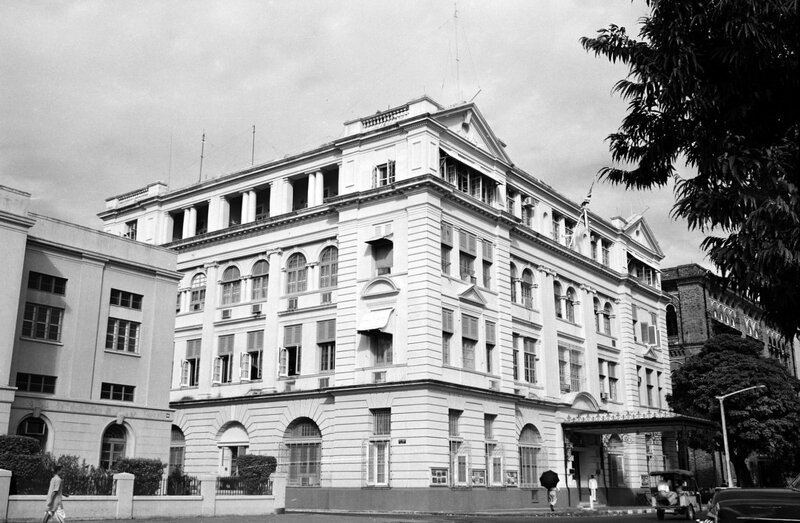 It was a handsome four-storey office building on the main street close to the north bank of the Irrawaddy river, built early in the twentieth century [when?] by the Commissioners for the Port of Rangoon on Graham Properties’ land. The architects were JG Robinson & GW Mundy. Almost square in plan, with a lift and stair up the centre, the building was always slightly larger than required and two pleasant staff flats were inserted on the third floor in the 1960s. As embassy staff numbers decreased, parts of the building were sublet to other organisations. Security considerations prompted the flats to be given up during the 1980s. The terms of the building’s purchase included the condition that it could only be disposed of by selling it to the Burmese Government for the price paid in 1948. In consequence, it continues to house the embassy today. The Strand Hotel is nearby at No. 92. The Irrawaddy Compound, formerly called the Belmont Estate, was bought from the Irrawaddy Flotilla Company Ltd of Glasgow for £70,000 in February 1949. It comprises almost 7.5 acres of sloping verdant grounds, bounded by Signal Pagoda Road, Kandawglay Road, Victoria Avenue and King Edward Road. It contained five substantial houses, laid out and built in 1929, each with its own access direct from the road it faced, with the result that the so-called compound in fact has no internal roads. 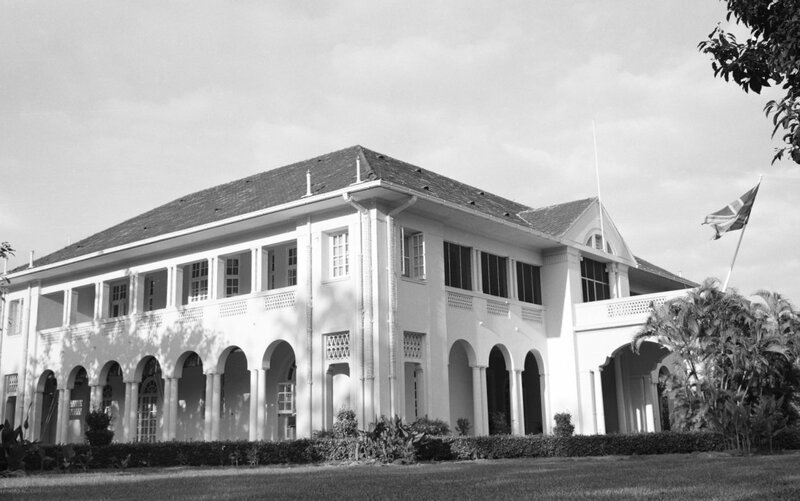 Belmont, the largest of the houses, became the residence: Belfield, Belwood and Belstone, to name them in descending order of their size and importance, were occupied by senior staff, though Belfield initially housed the Ladies Mess. The fifth and smallest original house, called Irrawaddy House, at the eastern-most corner of the estate, was demolished [when?] to make way for new garages and workshops. The estate also acquired over time the embassy club, swimming pool and tennis court, and, in the early 1970s, extensive domestic quarters. Disposal of the compound is bound by a similar condition to that at Strand Road, with the result that the embassy still occupies it. 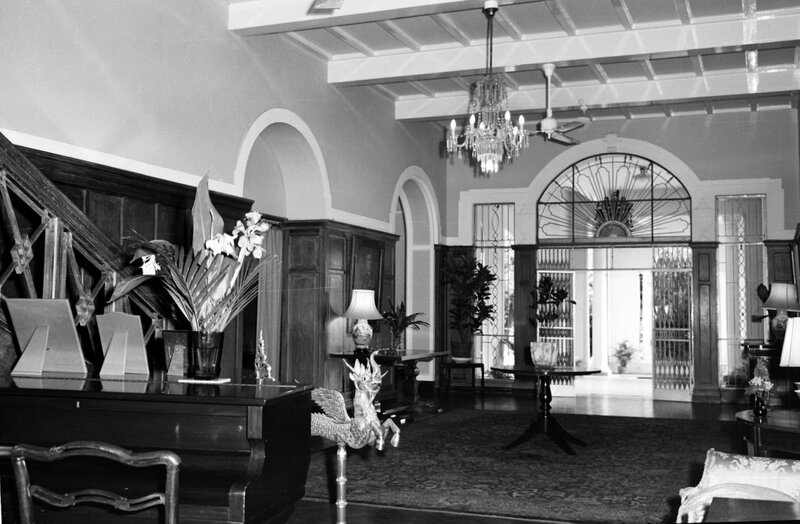 The residence is along late colonial tropical lines, with a square plan mostly surrounded on both floors by arcaded verandas, with bathrooms at the corners on the first floor. A small wing at the rear houses the kitchen and pantry downstairs and linen rooms upstairs. The house is rendered and painted white, with pitched clay tile roofs. The smaller houses, though they ring various changes of external treatment with some exposed brick and timber work, are in the same idiom: the plans of Belfield and Belwood, which both face corners of the estate, introduce some diagonal planning. 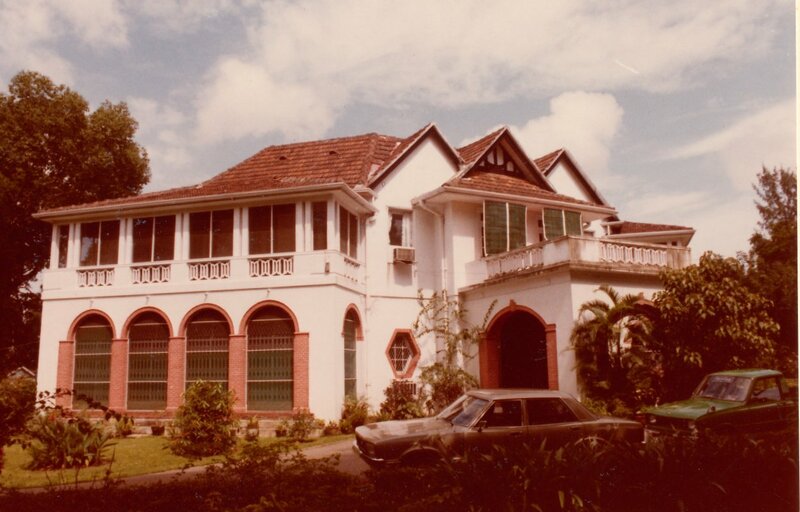 A smaller separate house at 12A Ady Road was also bought in 1949 by the Ministry of Works acting on behalf of the Ministry of Food to house their representative in Burma. For many years, a small compound of six bungalows called Glenside was leased from Steel Brothers for the accommodation of junior staff. This lease was brought to a conclusion in the early 2000s. 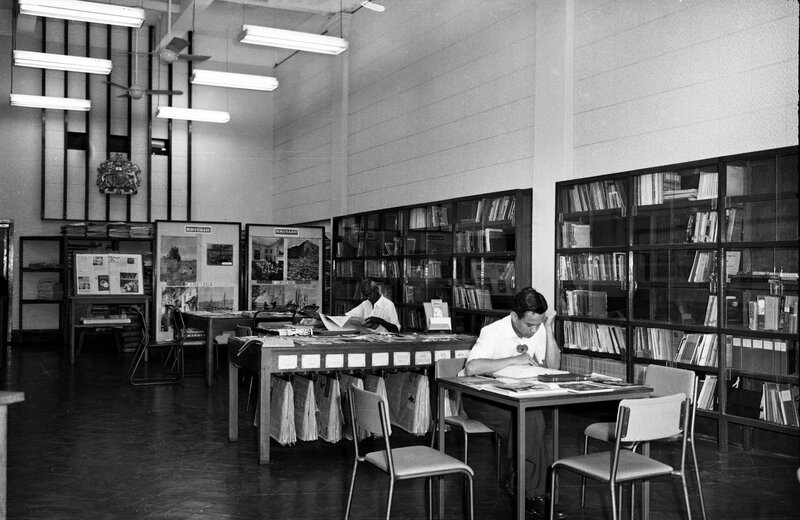 The public reading room in the embassy building, 1964. 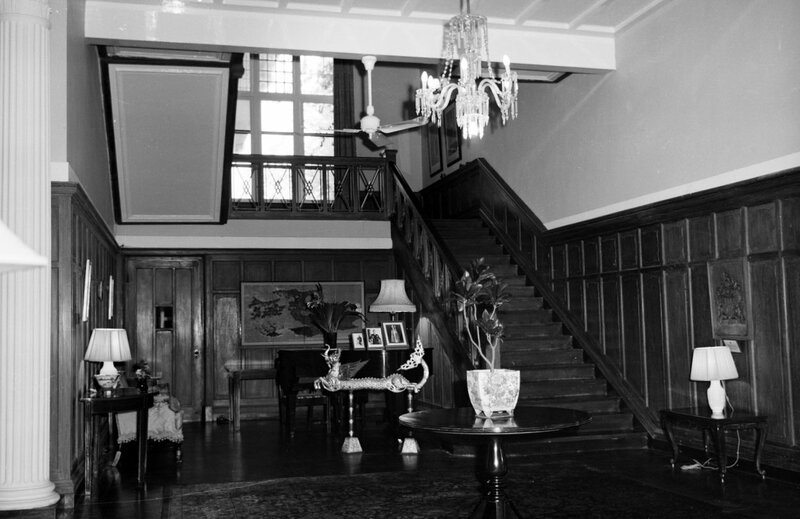 Hall, looking towards front door, in residence, 1964. 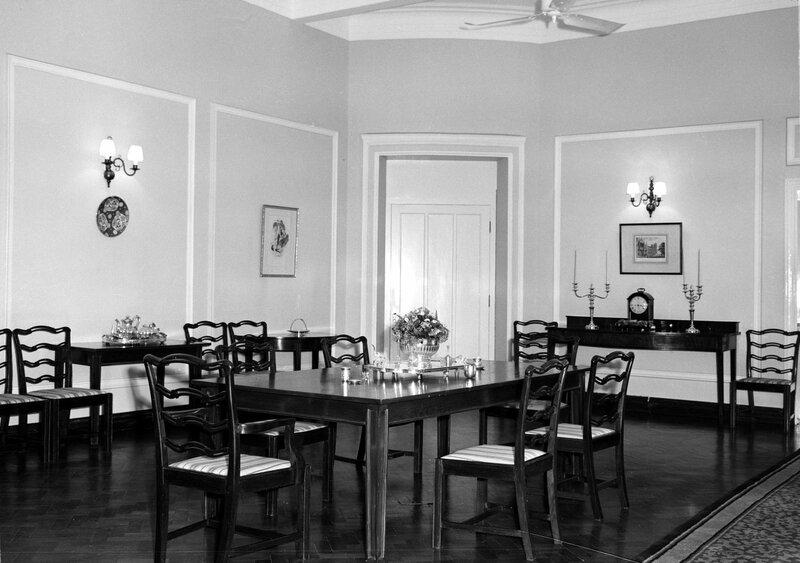 Dining room at residence, 1964.